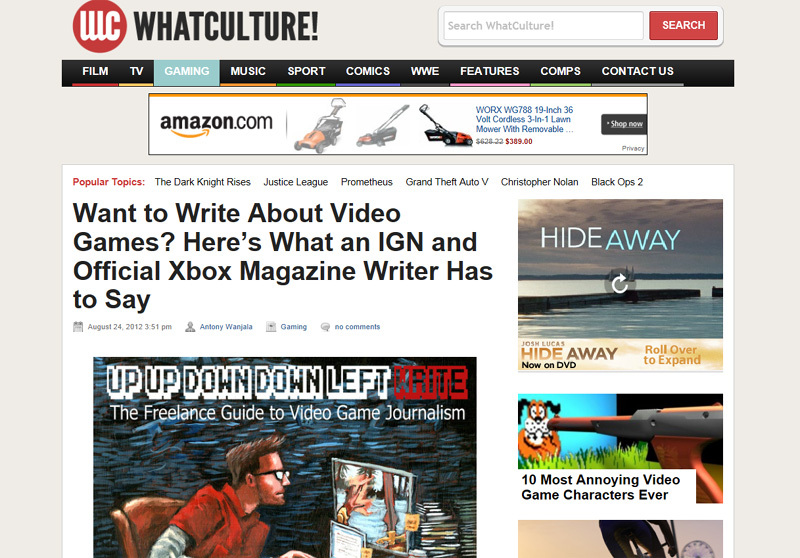 Book Kickstarter Interview w/ WhatCulture! I had a rad chat with the folks over at WhatCulture! about freelance game journalism, the book, the Kickstarter, and more! You can check out the article and interview here! This entry was posted in Freelance Game Journo Shop Talk, Up Up Down Down Left WRITE and tagged advice, book kickstarter, freelancing, game journalism, how to become a freelancer, Interview, nathan meunier, the freelance guide to video game journalism, up up down down left write, what culture by nmeunier. Bookmark the permalink.